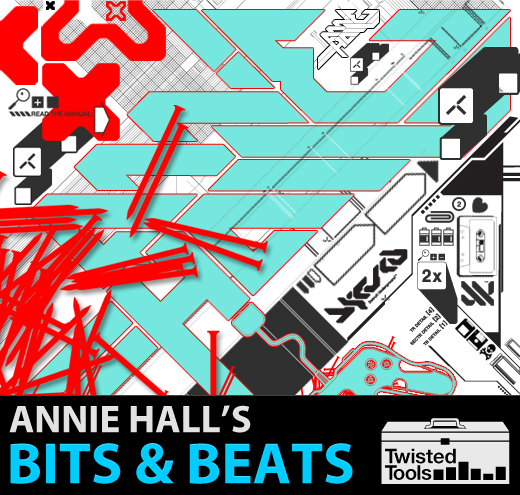 It's the holiday season and we wanted to share this small collection of Bits & Beats by Detroit Underground's Annie Hall. You can use them royalty free in your own music productions. Happy Holidays from Twisted Tools and Annie Hall! Just login and download for free. BIO: Annie Hall is a classic on the Spanish electronic music scene. Her style as a DJ oscillates between IDM, electro and techno, combined with dance floor appeal. She has landed gigs along side artists such as Laurent Garnier, Model 500, Dynarec, Rude 66, Legowelt and many more around Europe. She has recently made celebrated live performances at Sonar Barcelona, Bleep 43 in London and at the DEAF festival in Dublin, supporting Model 500. Her melodic form of IDM-electro and techno is pressed on vinyl by D1 recordings and more is on the way. As a producer, she released her first celebrated EP on Dublin based D1 recordings in 2008. Other labels involved in her work are the Minuendo label (Spain), Miga label and Semantica Records (a compilation together with artists such as Jimmy Edgar and Ed Chamberlain) and a recent EP called "Elephant Road" with the same label. She also works with Detroiter Sherard Ingram (Urban Tribe) and his Micron-audio label. Her elaborate production techniques transform her songs into authentic mental trips filled with emotion and expression that work both on the dance floor and in the home environment. Look out for the new vinyl on Icon of Desire and her remix of Jesse Somfay on Detund records. Made something using ANNIE HALL'S BITS & BEATS? Leave us something using our dropbox in our community area!.